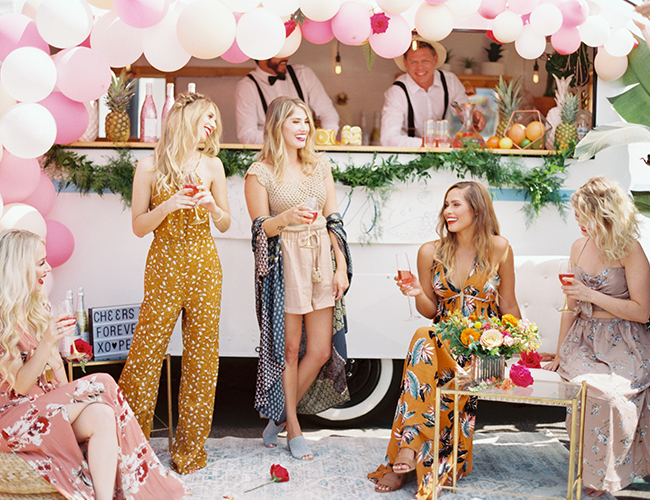 For all the ​fun​-loving babes who want to take it a step further, we dreamt the perfect girls’ day to celebrate their Bride-to-be. 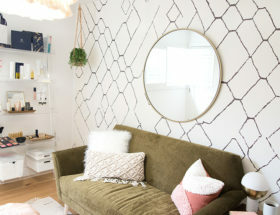 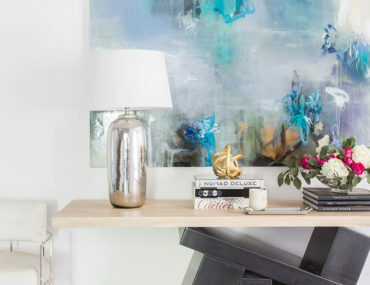 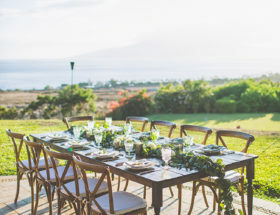 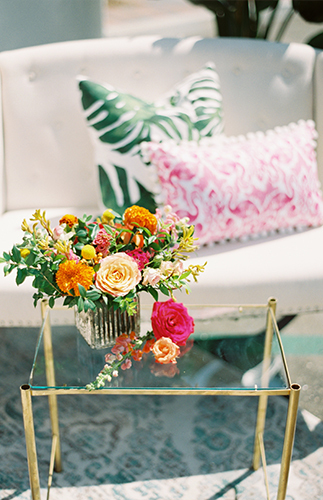 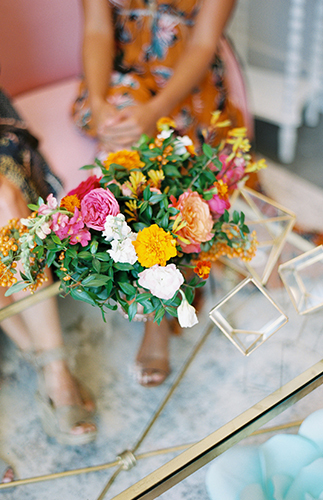 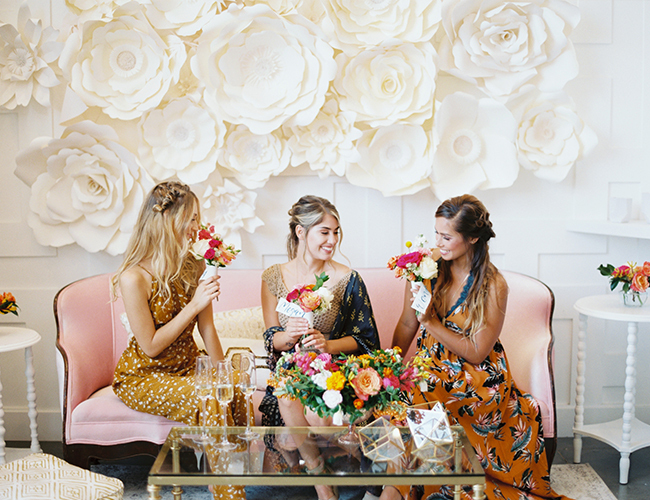 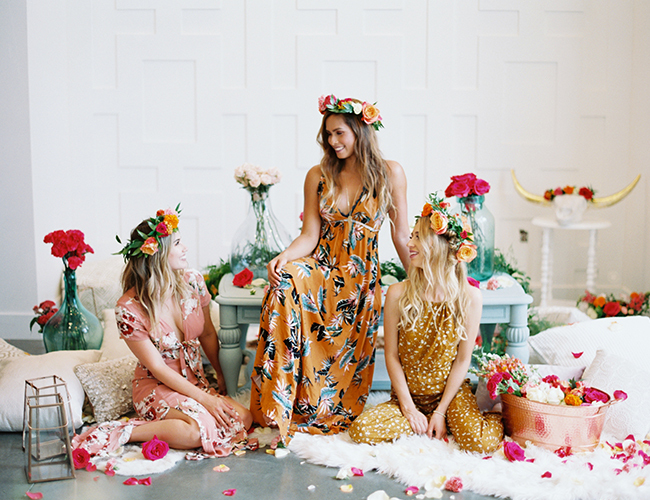 ​Starting at the most adorable creative space – Mint Studio in Del Mar, ​we ​paired their already ​chic decor with vintage tropical pieces from TBD San Diego. 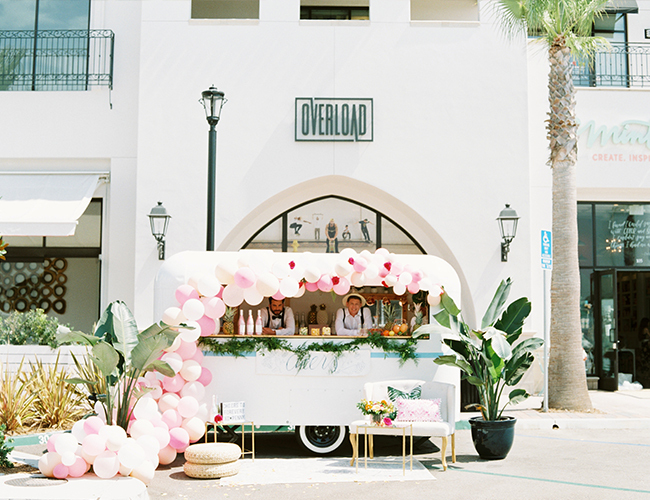 Liv3 provided the most ​darling​ Spring-inspired wardrobe & accessories, and XO Beauty ​Co. 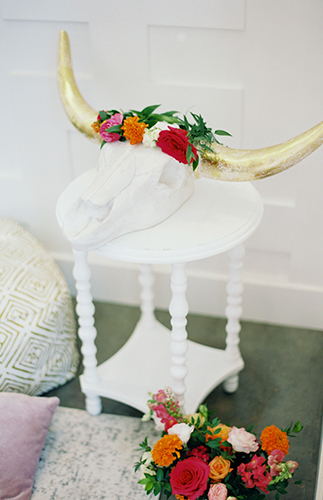 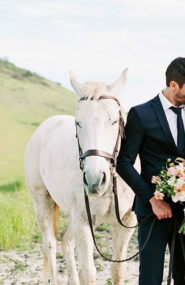 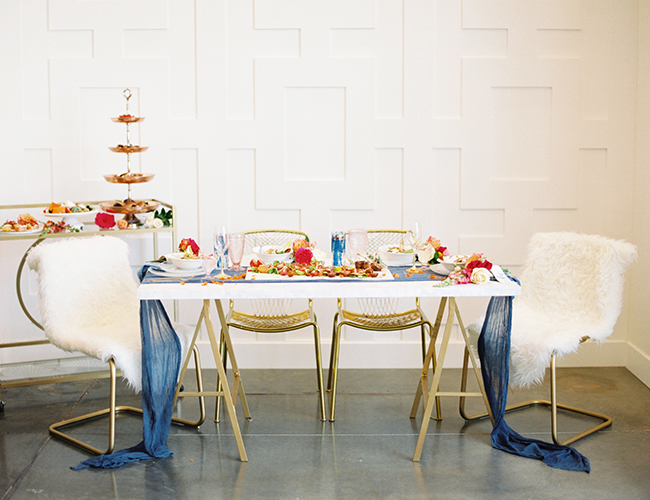 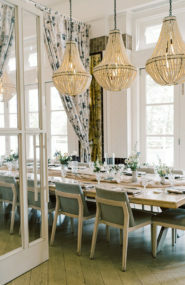 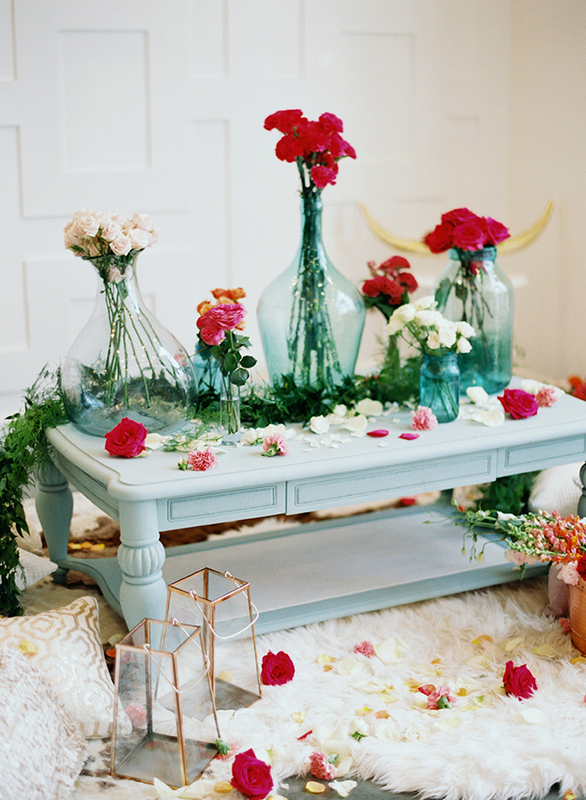 ​created a fierce combination of boho-chic glam. 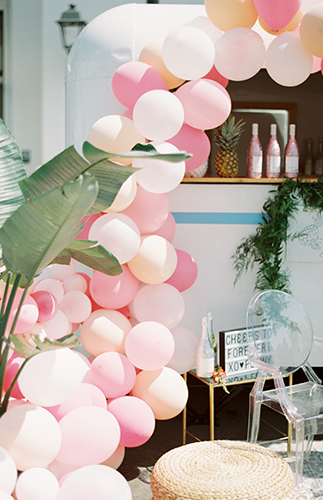 The outcome… girl party GOALS. 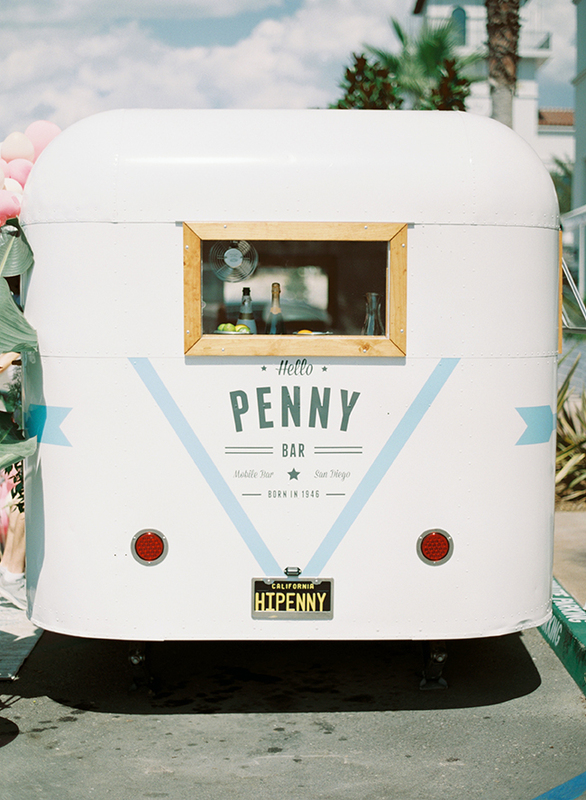 ​Nothing goes better with brunch and babes than mimosas- especially when they’re served out of a ​charming vintage trailer by Hello Penny! 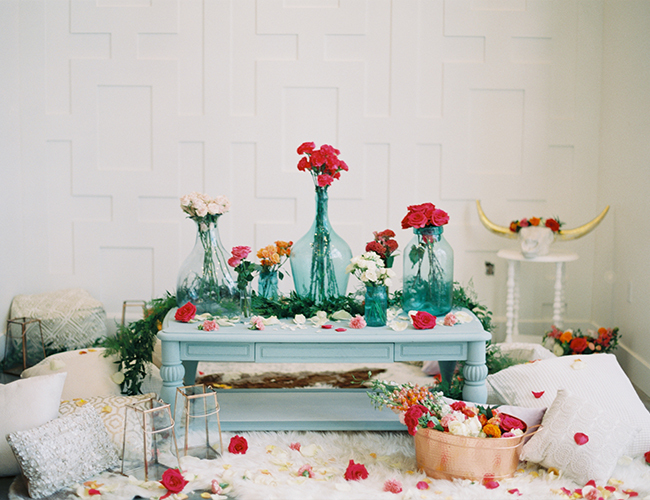 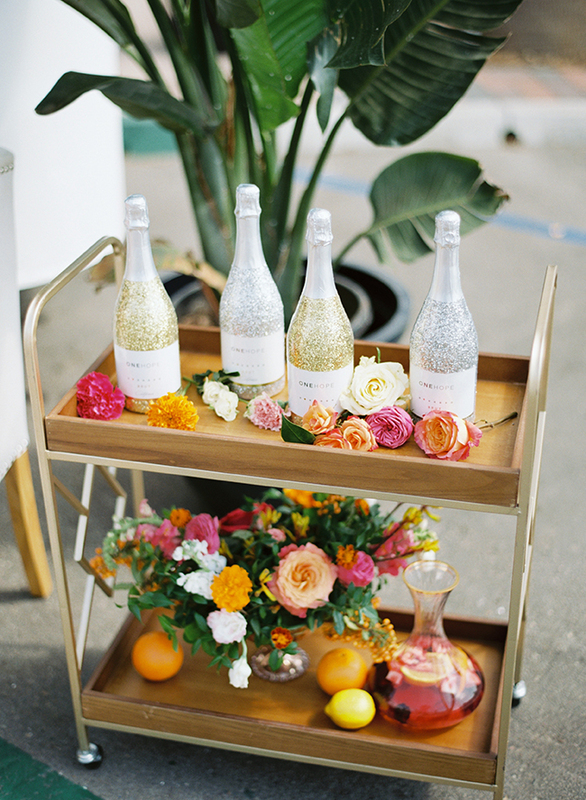 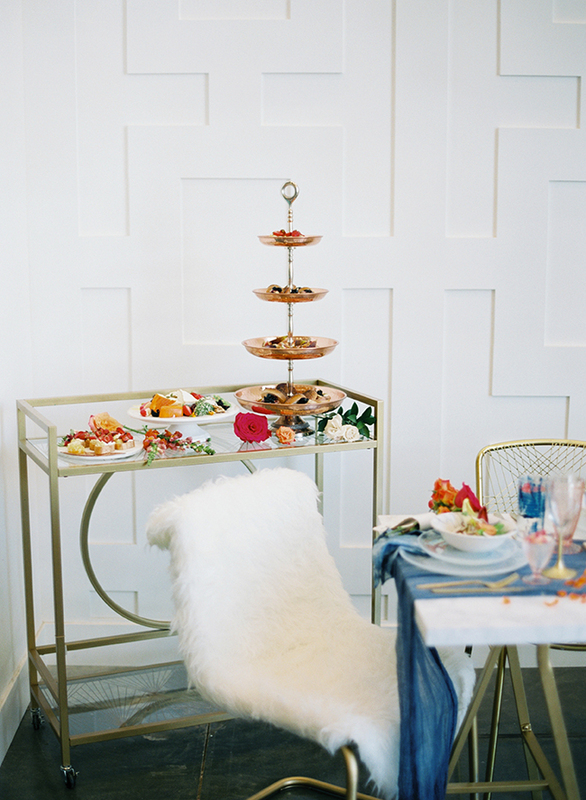 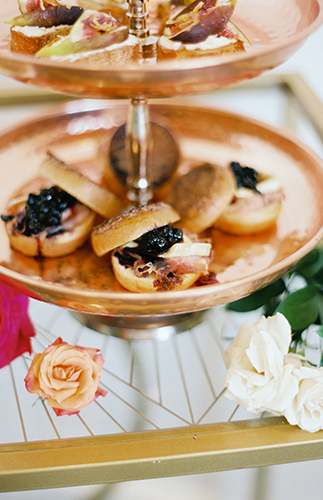 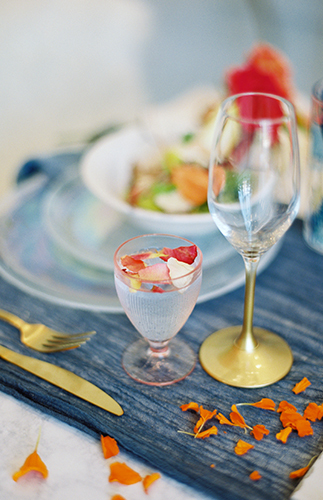 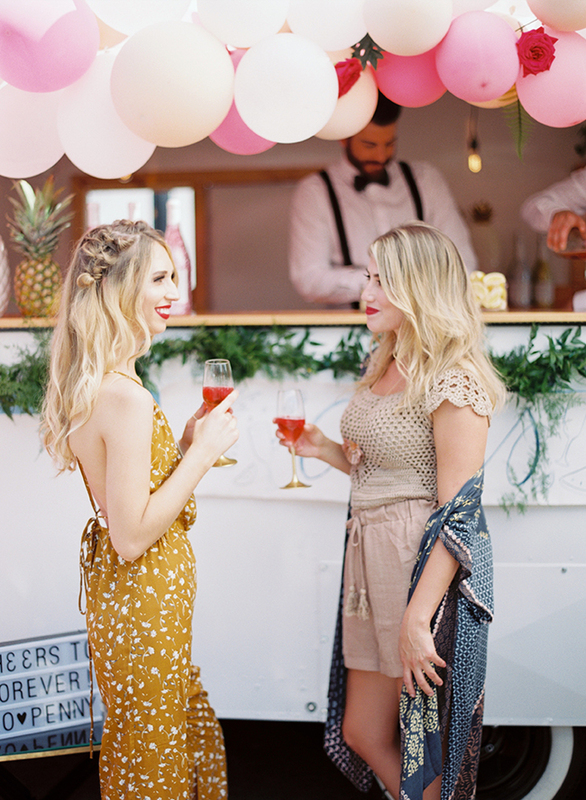 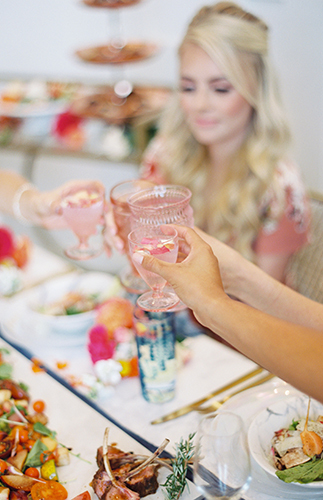 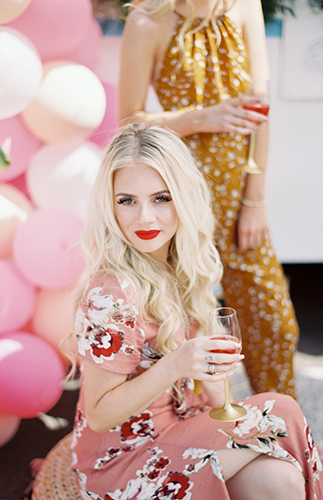 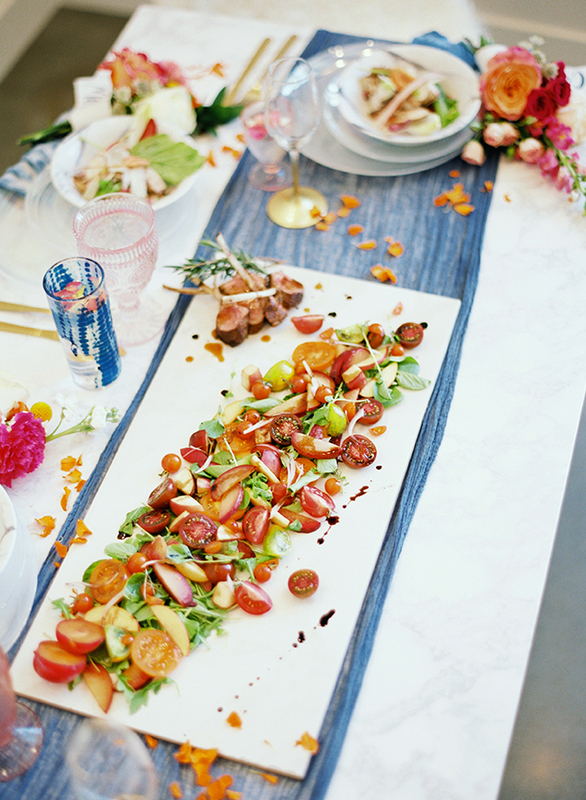 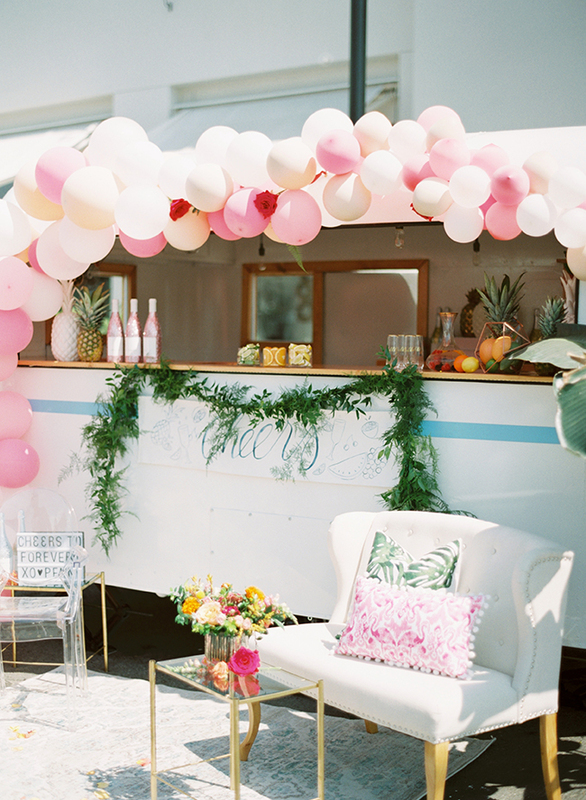 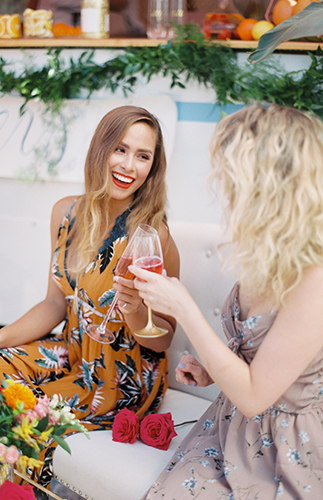 Glitter champagne by OneHope​, fresh fruit, and 2 handsome bartenders set the stage for this tropical bridal shower. 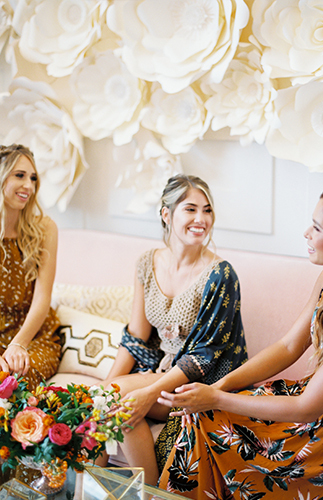 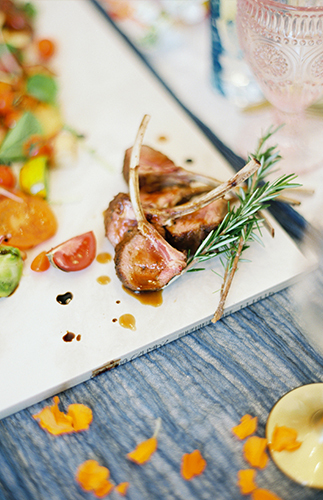 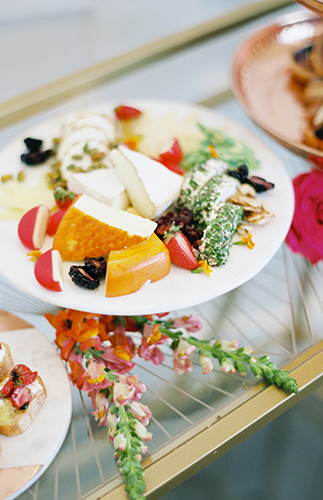 One of the best parts of hosting your gathering at Mint Studio, is being able to dive into your creativity and try one of their Pinterest-worthy workshops. 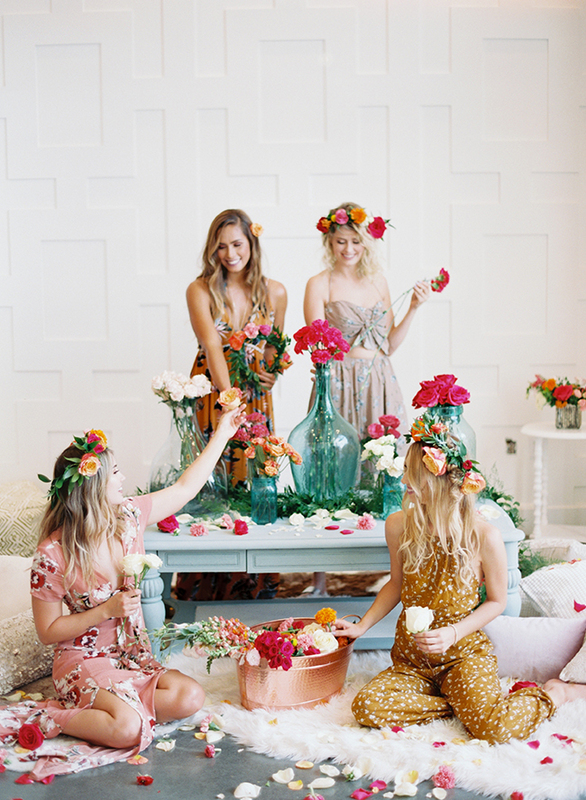 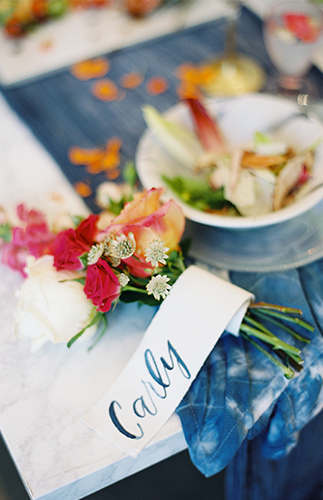 Flower crowns​ by floral queen Joy Of Bloom, Calligraphy​ taught by the talented Four Things Paper​, ​and ​paper flower backdrop​ 101 by none other than Tania Fischer​​- yes please! 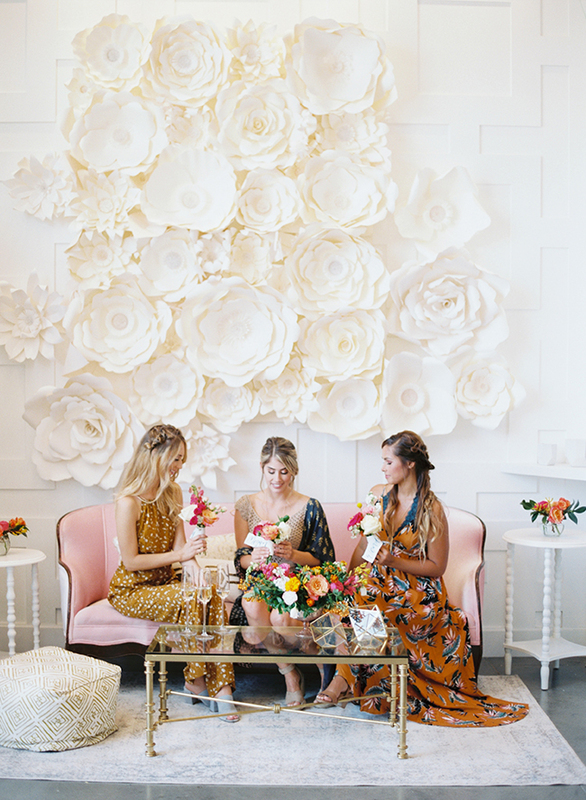 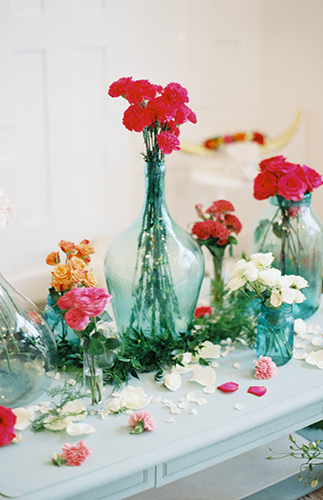 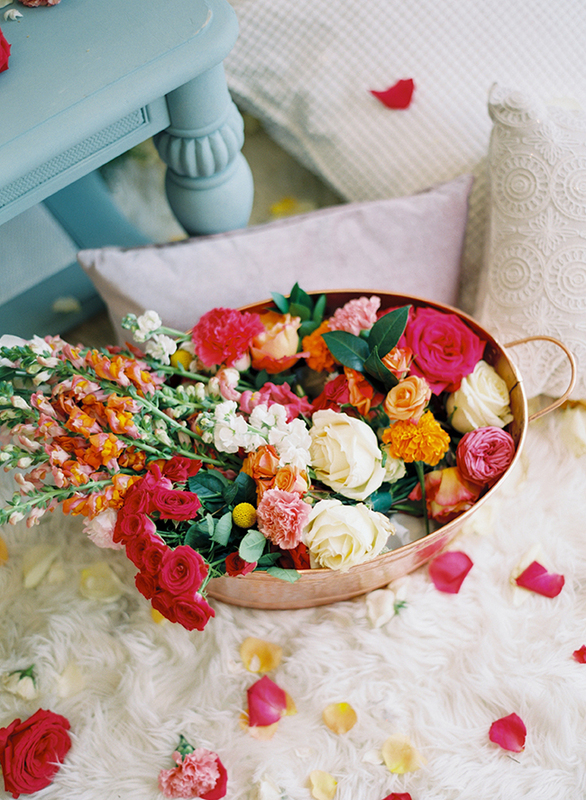 So obsessed with all the florals!